All Civil War battles in Virginia 1865. They are in the order in which they occurred during the war. Description: On February 5, Bvt. Brig. Gen. David Gregg’s cavalry division rode out to the Boydton Plank Road via Ream’s Station and Dinwiddie Court House in an attempt to intercept Confederate supply trains. Maj. Gen. G.K. Warren with the V Corps crossed Hatcher’s Run and took up a blocking position on the Vaughan Road to prevent interference with Gregg’s operations. Two divisions of the II Corps under Maj. Gen. A.A. Humphreys shifted west to near Armstrong’s Mill to cover Warren’s right flank. Late in the day, Maj. Gen. John B. Gordon attempted to turn Humphreys right flank near the mill but was repulsed. During the night, the Federals were reinforced by two divisions. On February 6, Gregg returned to Gravelly Run on the Vaughan Road from his unsuccessful raid and was attacked by elements of Brig. Gen. John Pegram’s Confederate division. Warren pushed forward a reconnaissance in the vicinity of Dabney’s Mill and was attacked by Pegram’s and Maj. Gen. William Mahone’s divisions. Pegram was killed in the action. Although the Union advance was stopped, the Federals extended their siegeworks to the Vaughan Road crossing of Hatcher’s Run. Description: On February 27, Maj. Gen. Philip Sheridan with two cavalry divisions rode from Winchester up the Shenandoah Valley to Staunton. Turning east, the Federals encountered the last remnant of Lt. Gen. Jubal Early’s Valley army at Waynesboro on March 2. After a brief stand-off, a Federal attack rolled up Early’s right flank and scattered his small force. More than 1,500 Confederates surrendered. Early and a few of his staff evaded capture. Sheridan crossed the Blue Ridge to Charlottesville and then raided south, destroying the James River Canal locks near Goochland Court House. He joined forces with the Army of the Potomac near Petersburg on March 26 for the opening of the Appomattox Campaign. Description: In a last-gasp offensive, Gen. Robert E. Lee amassed nearly half of his army in an attempt to break through Grant’s Petersburg defenses and threaten his supply depot at City Point. Directed by Maj. Gen. John B. Gordon, the pre-dawn assault on March 25 overpowered the garrisons of Fort Stedman and Batteries X, XI, and XII. The Confederates were brought under a killing crossfire, and counterattacks led by Maj. Gens. Parke and Hartranft contained the breakthrough, cut off, and captured more than 1,900 of the attackers. During the day, elements of the II and VI Corps assaulted and captured the entrenched picket lines in their respective fronts, which had been weakened for the assault on Fort Stedman. This was a devastating blow for Lee’s army, setting up the Confederate defeat at Five Forks on April 1 and the fall of Petersburg on April 2-3. Description:On March 30, Lee shifted reinforcements to meet the Federal movement to turn his right flank, placing Maj. Gen. W.H. Fitzhugh Lee’s cavalry divisions at Five Forks and transferring Pickett’s division from the Bermuda Hundred front to the extreme right. Warren pushed the V Corps forward and entrenched a line to cover the Boydton Plank Road from its intersection with Dabney Mill Road south to Gravelly Run. Ayres’s division advanced northwest toward White Oak Road. On March 31, in combination with Maj. Gen. Philip Sheridan’s thrust via Dinwiddie Court House, Warren directed his corps against the Confederate entrenchments along White Oak Road, hoping to cut Lee’s communications with Pickett at Five Forks. The Union advance was stalled by a crushing counterattack directed by Maj. Gen. Bushrod Johnson, but Warren’s position stabilized and his soldiers closed on the road by day’s end. This fighting set up the Confederate defeat at Five Forks on April 1. Description:Gen. Robert E. Lee ordered Pickett with his infantry division and Munford’s, W.H.F. Lee’s, and Rosser’s cavalry divisions to hold the vital crossroads of Five Forks at all hazard. On April 1, while Sheridan’s cavalry pinned the Confederate force in position, the V Corps under Maj. Gen. G.K. Warren attacked and overwhelmed the Confederate left flank, taking many prisoners. Sheridan personally directed the attack, which extended Lee’s Petersburg lines to the breaking point. Loss of Five Forks threatened Lee’s last supply line, the South Side Railroad. The next morning, Lee informed Jefferson Davis that Petersburg and Richmond must be evacuated. Union general Winthrop was killed; Willie Pegram, beloved Confederate artillery officer, was mortally wounded. Dissatisfied with his performance at Five Forks, Sheridan relieved Warren of command of the V Corps. Description: Union columns converged on Petersburg on April 2. part Mile’s force struck north from White Oak Road meeting elements of four Confederate brigades (Cooke, Scales, MacRae, McGowan) attempting to defend the South Side Railroad. The Confedeerates placed their left flank on Ocran Methodist Church, where it was overun by three Union brigades commanded by Miles. The Confederate defenders were scattered and driven northwestward. With this victory, the Federals possessed the South Side Railroad, Gen. Robert E. Lee’s last supply line into Petersburg. Description: On April 6, Longstreet’s command reached Rice’s Station, its farthest point south, where it was blocked by Union XXIV Corps. After some skirmishing, Longstreet withdrew over the High Bridge during the night toward Farmville. 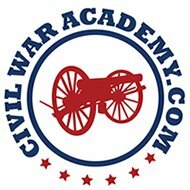 Description:Early on April 9, the remnants of John Broun Gordon’s corps and Fitzhugh Lee’s cavalry formed line of battle at Appomattox Court House. Gen. Robert E. Lee determined to make one last attempt to escape the closing Union pincers and reach his supplies at Lynchburg. At dawn the Confederates advanced, initially gaining ground against Sheridan’s cavalry. The arrival of Union infantry, however, stopped the advance in its tracks. Lee’s army was now surrounded on three sides. Lee surrendered to Grant on April 9. This was the final engagement of the war in Virginia.